Mediclinics washroom accessories are especially designed for the restaurant business and hotel rooms. Depending on the model and category, these items are suitable for use in gyms, schools, offices, hospitals and healthcare centres, airports and entertainment areas. The entire range of products is characterised by its high quality and resistance, without disregarding functionality or elegance. 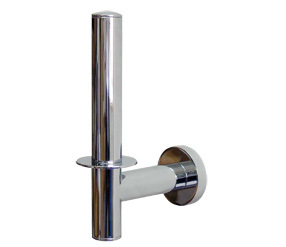 Towel holders, shelves, soap dispensers, toilet paper dispensers, brush holder, hangers, grab bars for toilet and paper towel dispensers are some of the main Mediclinics accessories available for professionals. Wide range of stainless steel AISI 304 products, all of them with a bright and satin finish. This very modern style adds a touch of elegance and avant-garde to any washroom. These solutions evoke a more classical style, with bright chromed brass and more traditional and sober ergonomics.